(NaturalNews) IMPORTANT UPDATE: Whole Foods was just caught blatantly LYING about everything covered in this article. CEO Walter Robb has been captured on video admitting total support for Monsanto-engineered GMO fake labeling law that kills Vermont GMO labeling bill. 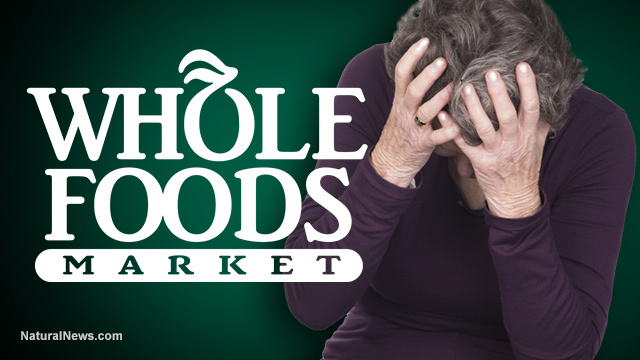 Whole Foods takes to social media to LIE to everyone, denying everything, even while Robb is captured on video... click here for the breaking news report on Whole Foods CAUGHT LYING. According to breaking news reports, Whole Foods Market (WFM) has gone full rogue, partnering with Monsanto to kill GMO labeling across America under the guise of a new, fraudulent "GMO labeling compromise" in the U.S. Senate that's actually a fake labeling law requiring no clear labeling of GMOs whatsoever. The deception on food labeling has never been greater. With this act of ultimate betrayal, Whole Foods cements its position as a poison-pushing distribution partner of Monsanto, the world's most evil corporation that produces poisonous, deadly crops laced with bt toxin and glyphosate, a cancer-linked herbicide. With this betrayal of consumers, Whole Foods might as well now be called, "POISON FOODS" because that's what they're pushing. Washington D.C. -- National grassroots organizations expressed their outrage today towards a group of U.S. Senators and major, self-described, “organic companies” that have brokered a backroom legislative deal to kill mandatory GMO labeling of food products across America while stifling first-of-its-kind state legislation in Vermont (slated to go in effect this Friday, July 1st) that would mandate labeling of foods that have been genetically engineered in laboratories. “Now, at the last minute, a self-selected group of so-called “organic leaders,” including the head of Whole Foods Market, Walter Robb; Gary Hirshberg, the CEO of Stonyfield Farm, the bogus pro GMO labeling group Just Label It, run by the Environmental Working Group, and lobbyists for the corporate owned organic companies inside the Organic Trade Association (led by “natural” brands Smucker’s and White Wave) have made an absolutely corrupt bargain with Congress completely embracing an industry-crafted DARK Act “compromise", now known as The Stabenow/Roberts bill,” continued Cummins. Demand they vote AGAINST the GMO labeling "compromise" being pushed by Monsanto.